ACCESS Open Minds is a ground-breaking, five-year national research project that aims to give young Canadians aged 11 to 25 years faster access to higher quality mental health services designed with their distinct needs in mind.  Douglas researchers Ashok Malla and Srividya Iyer are, respectively, the lead investigator and the scientific-clinical director of this project. They and their team are developing and testing a transformative model of care that could eventually be replicated across the country. ACCESS Open Minds is designed to build on the strengths of existing resources at 12 demonstration sites – including several Indigenous communities – in six provinces and one territory. Efforts are focused on early identification, as well as providing speedy and flexible access to the kind of respectful, compassionate care that youth and their families want. While teenagers are normally forced to abruptly turn to adult mental health services when they reach the age of 18, youth who are seen by an ACCESS clinician at any one of the sites will continue receiving support as needed so that they experience smoother transitions. The $25-million dollar project is jointly funded by the Canadian Institutes of Health Research (CIHR) and the Graham Boeckh Foundation under CIHR’s Strategy for Patient-oriented Research.